In the first half of this week’s Jewish Sacred Aging Radio show, Rabbi Address chats with Rabbi Judy Schindler, Director of the Stan Greenspon Center for Peace and Social Justice at Queens University of Charlotte and Sklut professor of Jewish Studies there, and Judy Seldin-Cohen, who became a community advocate after 20 years in business. 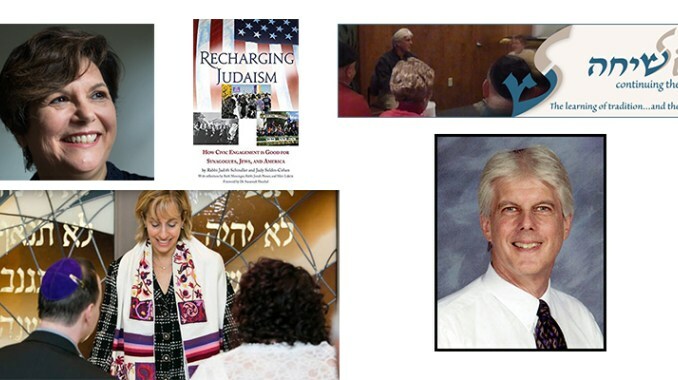 Their new book Recharging Judaism: How Civic Engagement is Good for Synagogues, Jews, and America is available directly from CCAR Press at Recharging.CCARpress.org and also on Amazon Kindle. 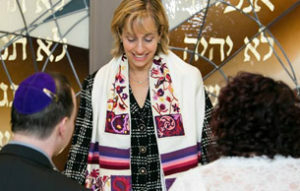 In the second half of the show, the guest is Rabbi Steven Sager, director of SICHA, Hebrew for “conversation,” an organization promoting the vital ongoing dialogue between classical Jewish texts and modern life, enabling Jewish communities and their leaders to enlist the Jewish past in the service of the Jewish future.